While sometimes used as synonyms by mistake, RFPs and Proposals are distinctly different. As the name suggests, an RFP is a Request for Proposal. RFPs are issued by buyers and published to vendors for response. Vendors (or suppliers) create Proposals in response to RFPs. You can create RFPs in RFP365. You can also create RFIs, RFQs, and something we call a Vendor Profile etc. For simplicity, we refer to RFPs in a very broad sense. Proposals are prepared by new business teams (Sales or Marketing) to respond to new business opportunities. A Proposal may be prepared in response to an RFP you've been invited to via RFP365 or can be unsolicited. Unsolicited means the request didn’t come through a formal RFP (competitive bidding) process. There are also Proposals that your client sends to you for a specific need that can be uploaded into RFP365 and worked by your team. We often refer to these as Self-Initiated. 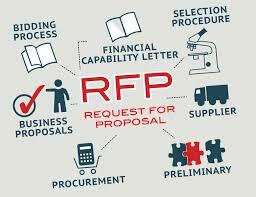 Note: In RFP365, you can create RFPs and respond to them by writing proposals. The first thing you need to identify is what type of user you are. But either way, we have tools to help you in your efforts. 1397/1/30 00000 تفاوت RFP و Proposal چیست؟ عمومی , فناوری ، تکنولوژی ، IT و..